Calciferous water, dirt, cleaning agents: mixers and showers need to withstand quite a bit. With QuickClean technology from Hansgrohe, you can remove limescale residues instantly. 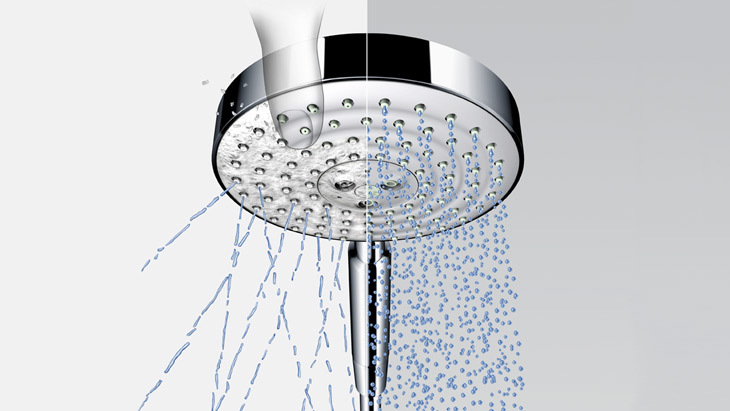 Since Hansgrohe has fitted its mixer aerators and shower jets with flexible silicone naps, limescale deposits can be rubbed off easily. Another plus: products that are limescale-free and well-maintained remain attractive and in good working order for longer. Check out our maintenance and cleaning advisor to find out how you can enjoy your Hansgrohe product for many years to come.